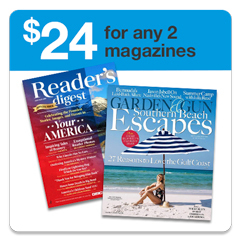 Select any magazine in this list and take a second magazine free of charge. Each subscription is for a one year period. Don't see the magazine you want in the list above? 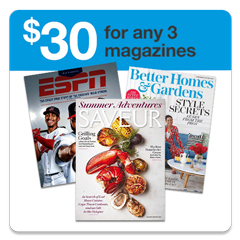 Try our Magazine Power Package instead. 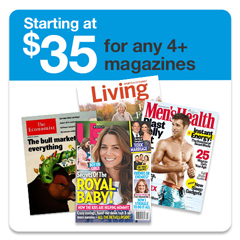 You can configure any combination of magazines. Prices start at $35.